In 1861, the Board of Governors of the Soldiers' Home in Washington, D.C. permitted the Army to bury soldiers who died in and around the capital city in a section of its cemetery, but this land quickly filled up. 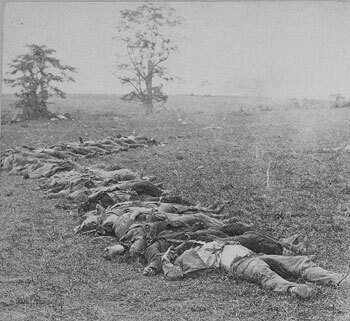 Faced with the growing number of Union dead, the U.S. Congress passed legislation in July 1862, which among other actions, including pay, contracts, and rations, authorized the President to purchase land for the establishment of cemeteries for burial of those fighting on behalf of the United States, not the Confederate States. The first cemeteries were established near key locations: battlefields, including Mill Springs National Cemetery in Nancy, Kentucky; hospitals, including Keokuk, Iowa; and other troop concentration points such as Alexandria, Virginia. 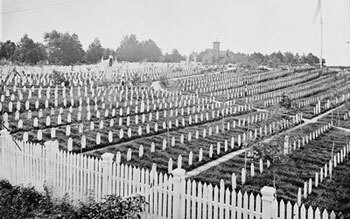 By the end of the Civil War in spring 1865, there were approximately 30 national cemeteries and seven soldiers’ lots in private cemeteries. Despite this, many soldiers still were lying in farm fields due to hastily conducted wartime burials, often having their remains exposed over time. Confederate soldiers could not be buried in national cemeteries, nor were they afforded any benefits from the United States Government for many decades after the end of the Civil War. When the reburial corps in the late 1860s found the remains of Confederate soldiers lying near those of Union soldiers, they removed the Union soldiers but left the Confederates’ bodies. Because identification of remains was difficult at best, some Confederate soldiers were reburied in national cemeteries, unintentionally as Union soldiers. 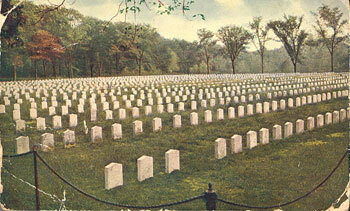 Confederate prisoners of war were often interred in “Confederate sections” within the national cemeteries. 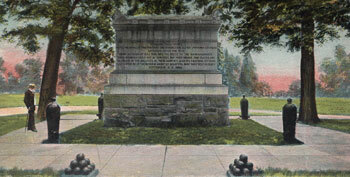 Generally, within national cemeteries and at other cemeteries under the care of the Federal Government, Confederate graves were marked first with wooden headboards (as had been Union graves) and later with marble markers with just the name of the soldier engraved on the stone, so that they were indistinguishable from civilians buried in the national cemeteries. Private organizations, especially women’s organizations established in former Confederate states after the war, assumed responsibility for Confederate reburials. 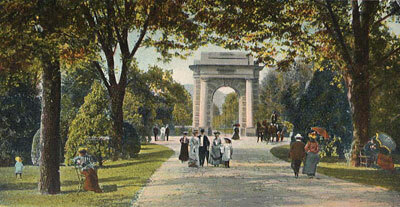 One of the more prominent groups was the Hollywood Memorial Association, which raised funds to move the bodies of Confederate soldiers from the battlefields of Gettysburg and Drewry’s Bluff to Hollywood Cemetery in Richmond, Virginia. The appearance of grave markers varied in these Confederate cemeteries depending on the preferences of the supervising organization.